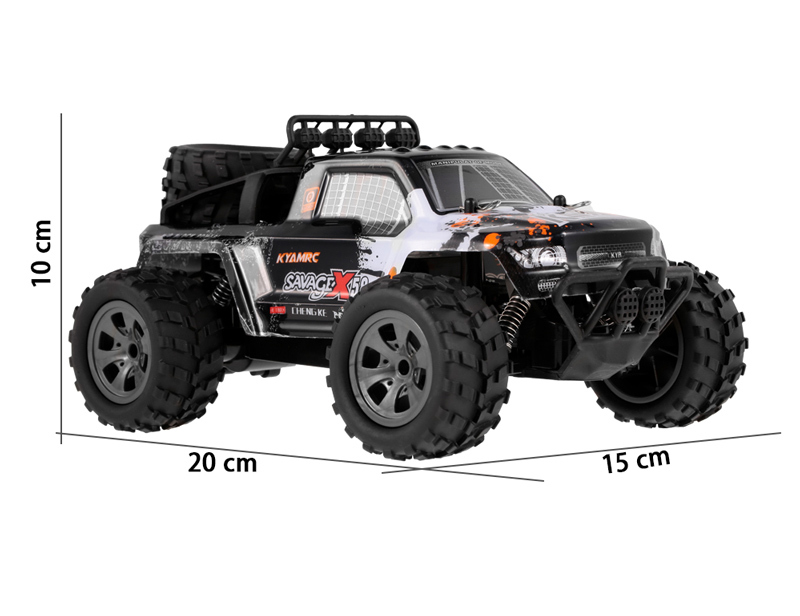 A new design 1/18 RC car appears, it has full functions, forward and backward, steer left and right. 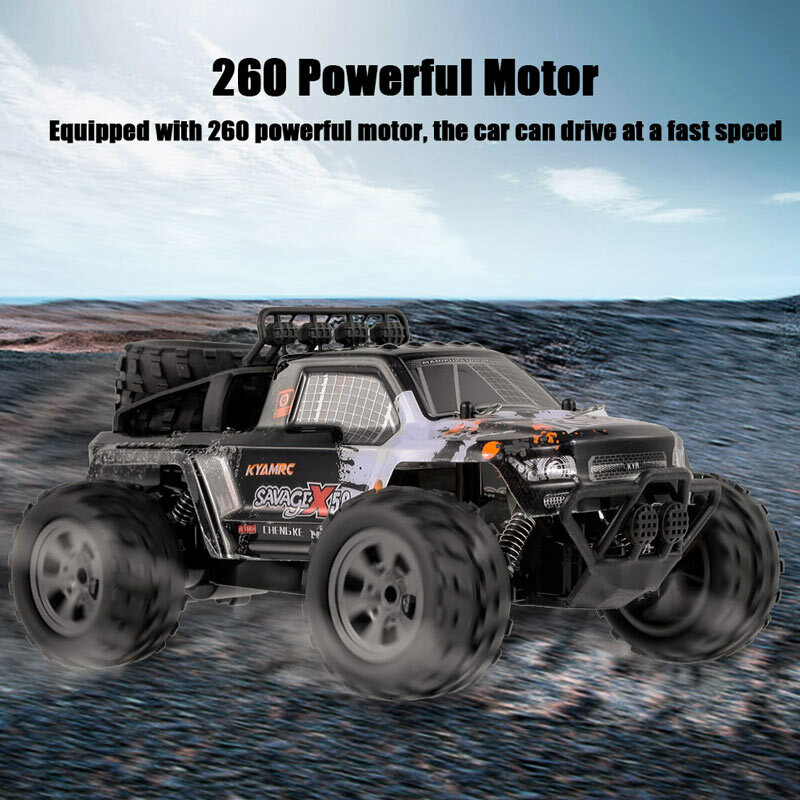 260 Powerful Motor enables it has a fast speed, and the max speed is 18km/h. With off-road big tires, it can run freely on any terrain. 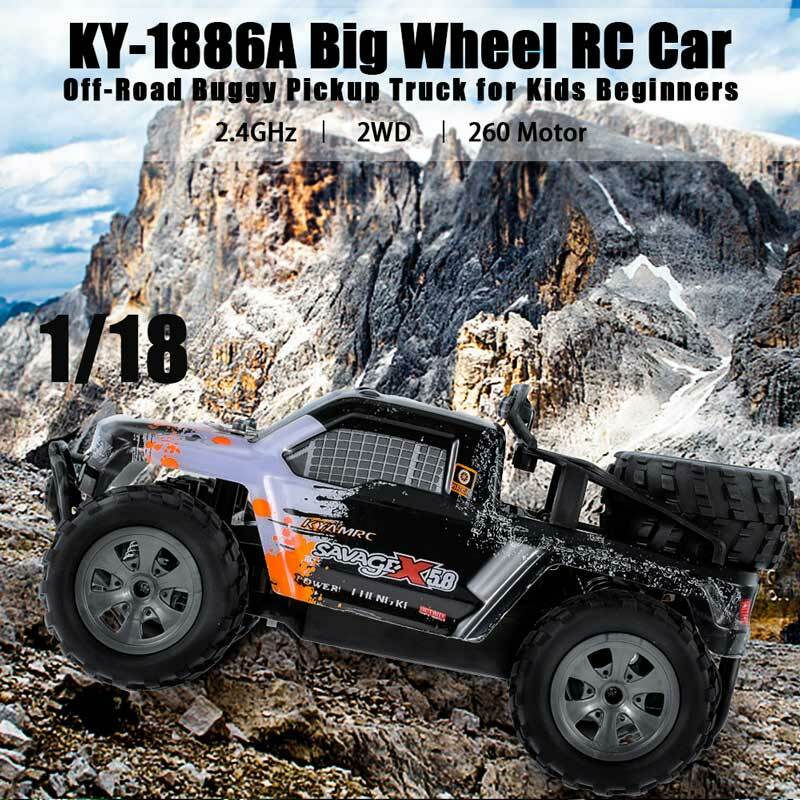 Your kids will love playing with this cool car. 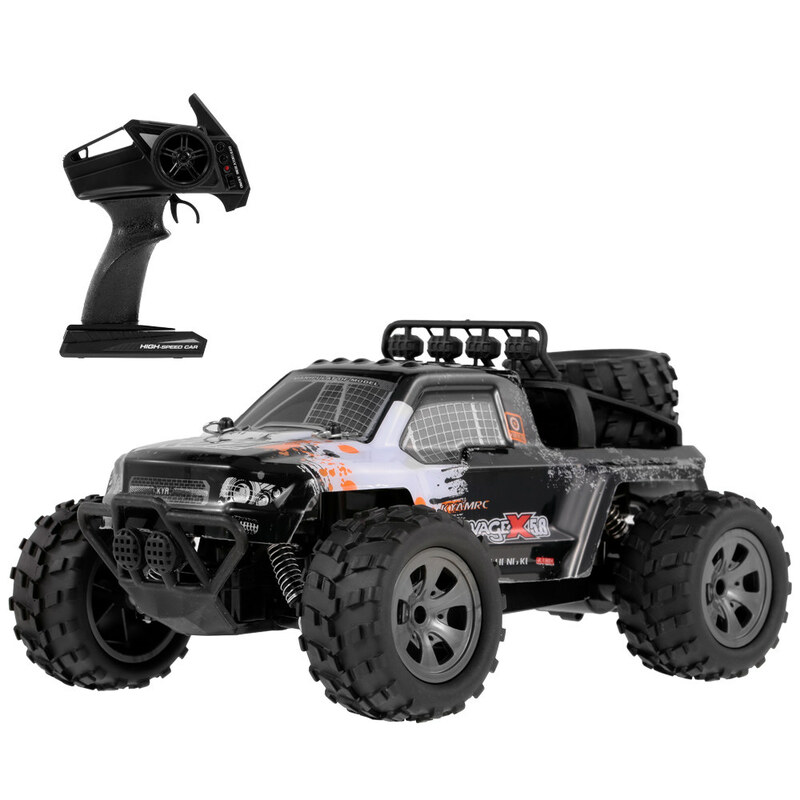 2.4GHz Radio Control System: The max control distance is up to 50m, two or more RC vehicle can be racing together without remote confusion. 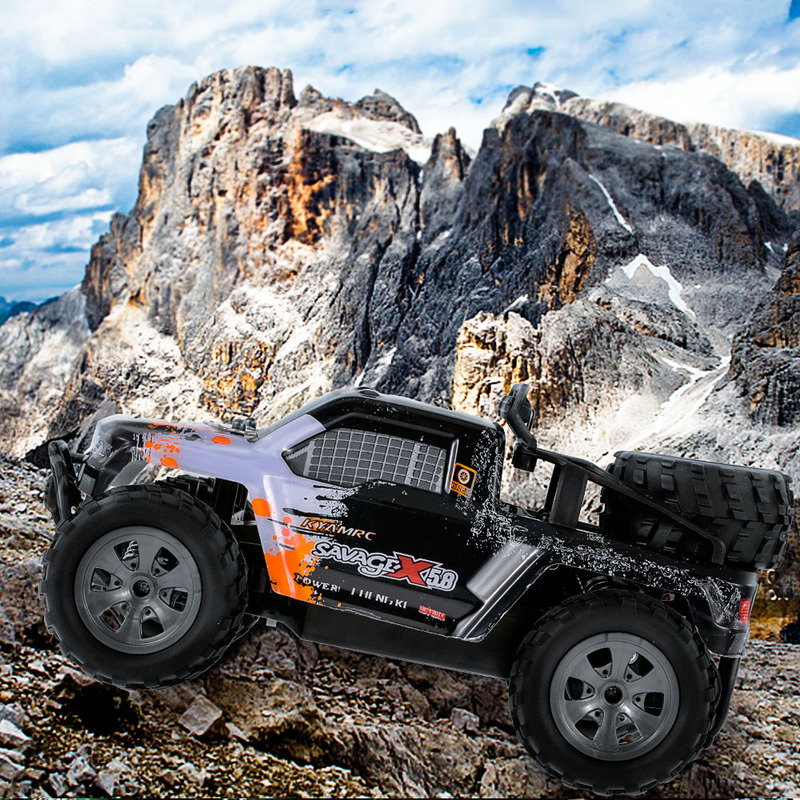 260 Powerful Motor: Equipped with 260 powerful motor, the driving speed is up to 18km/h. 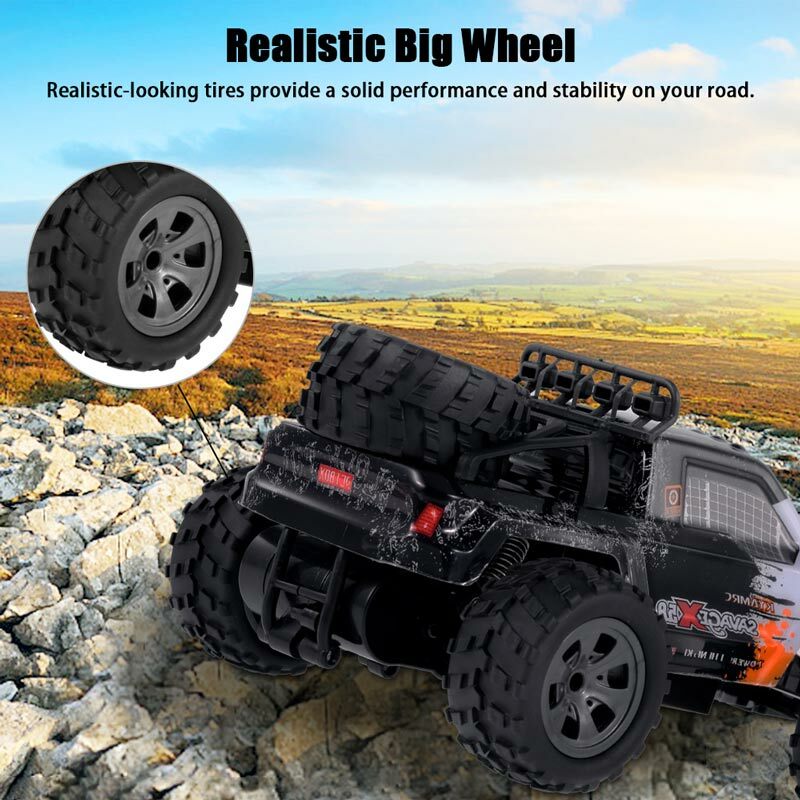 Realistic Big Wheel: The big wheel is made of high quality material, it is soft and elastic and can be adjusted based on the road and driving fast earthquake-resistant on uneven terrain. 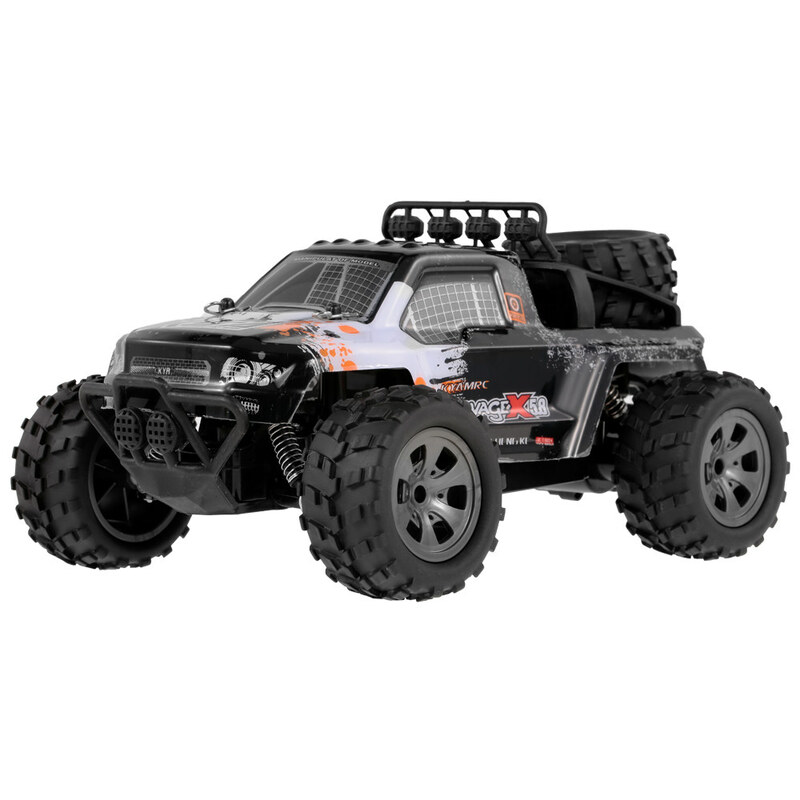 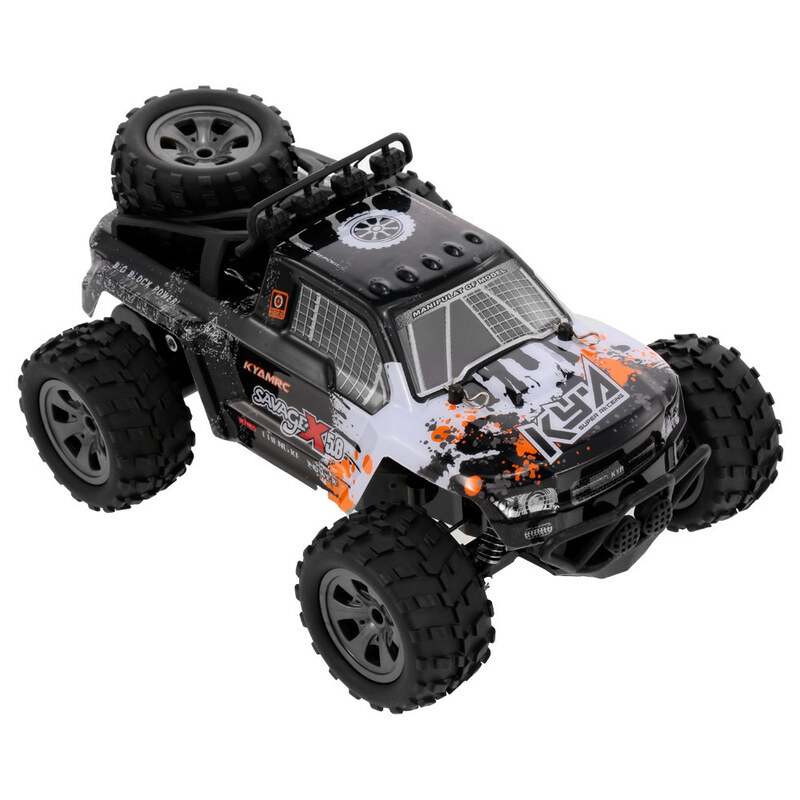 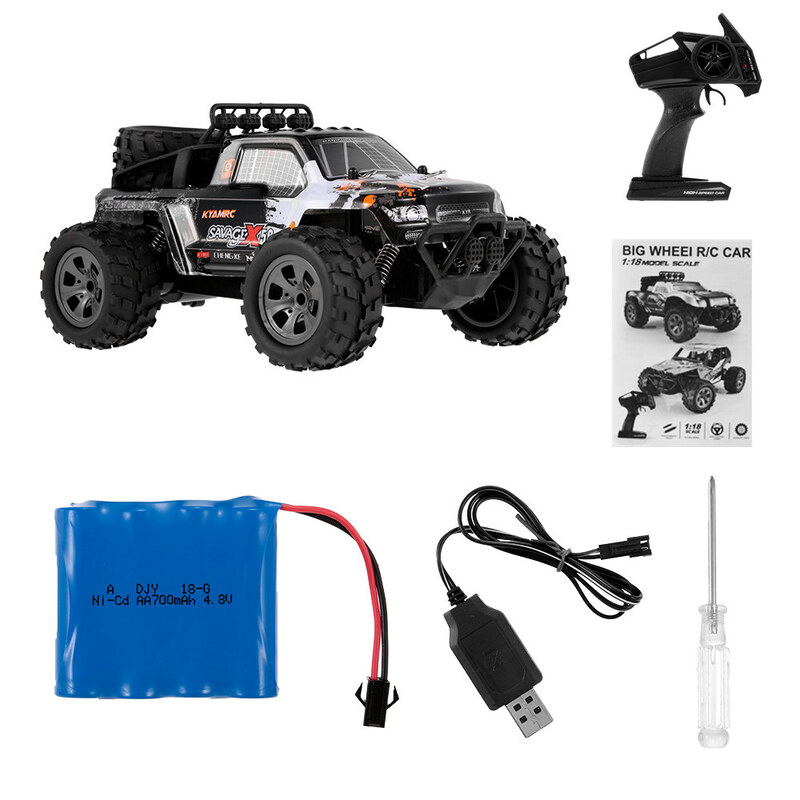 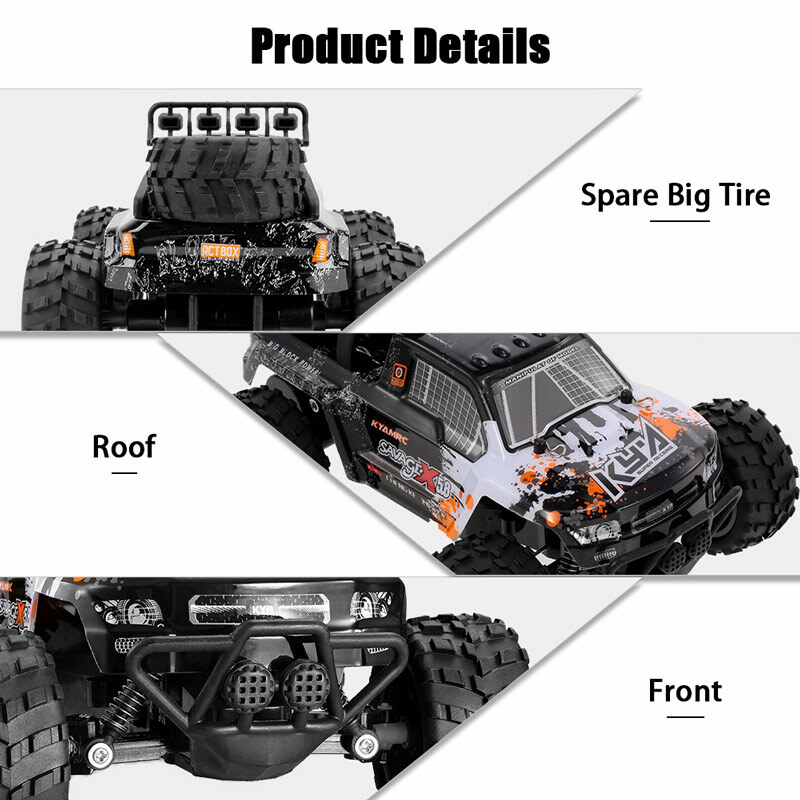 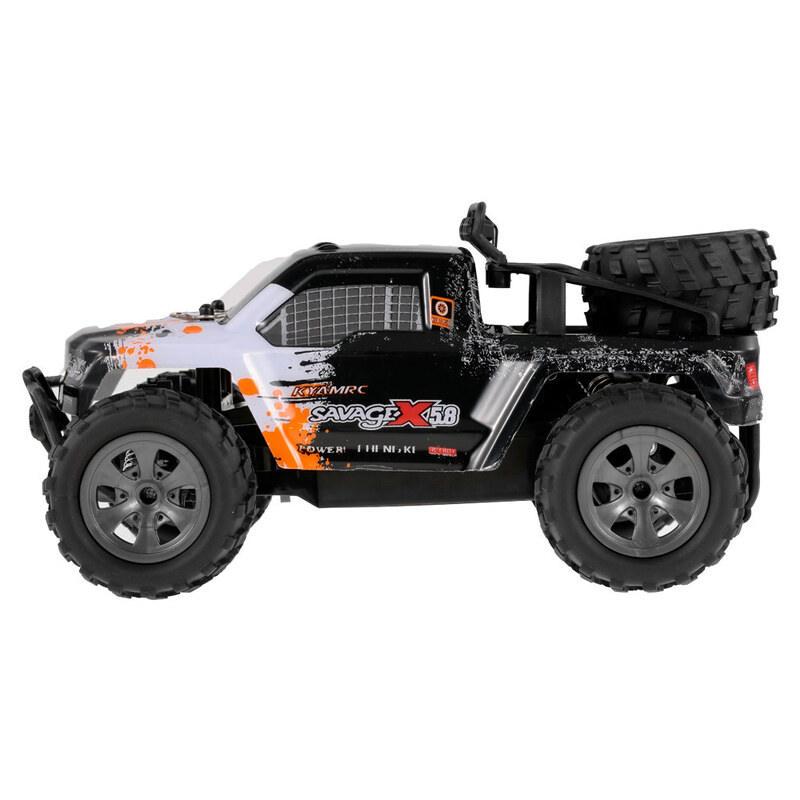 PVC Materials: With High-quality imported PVC materials to ensure the RC car has ruggedness and crashworthiness. 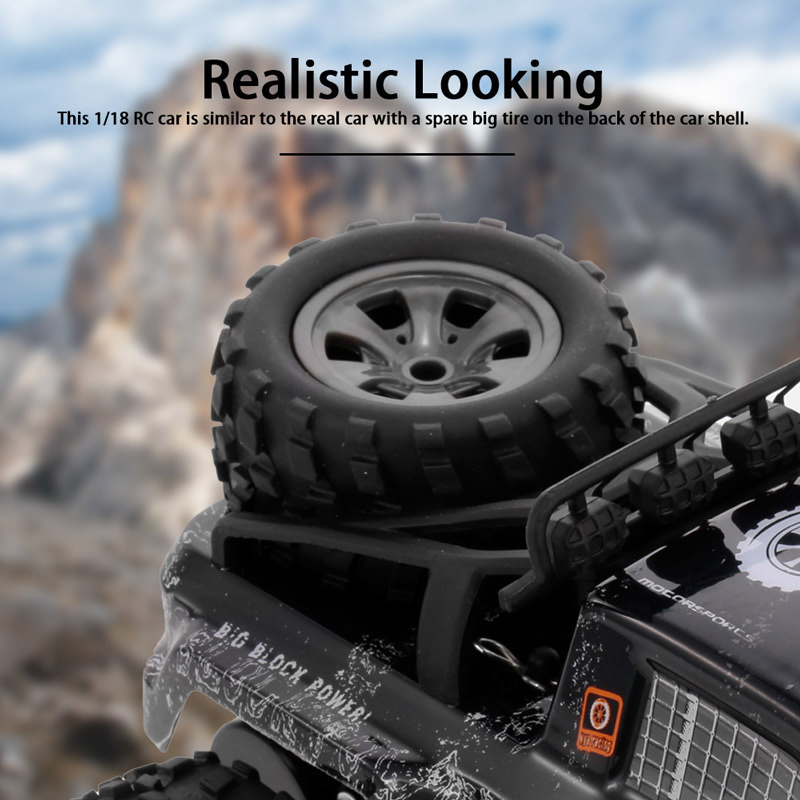 Realistic Looking: This 1/18 RC car is similar to the real car with a spare big tire on the back of the car shell. 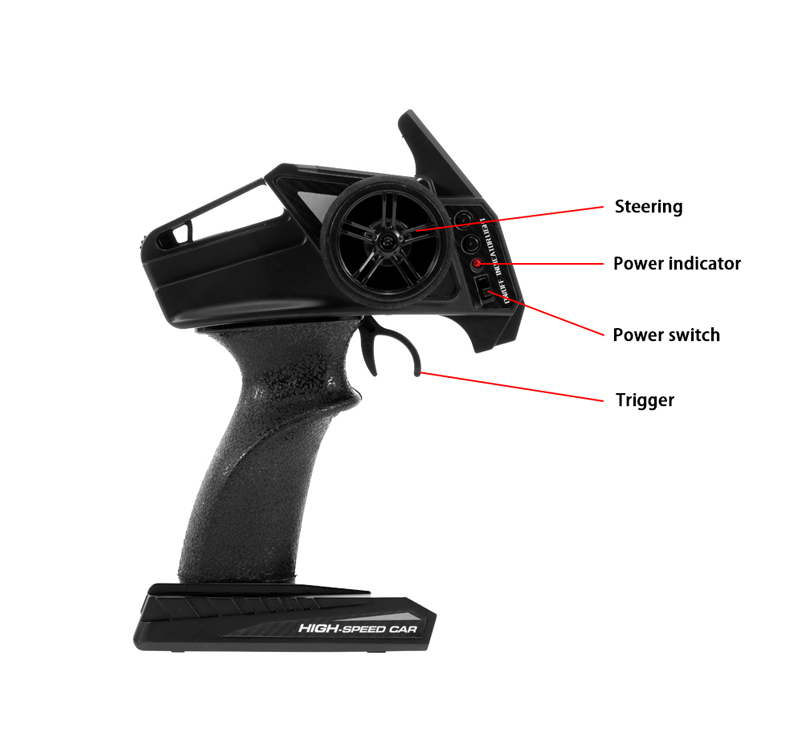 Cool Remote Controller: The new design Remote Controller has special appearance, you will love it at the first sight. 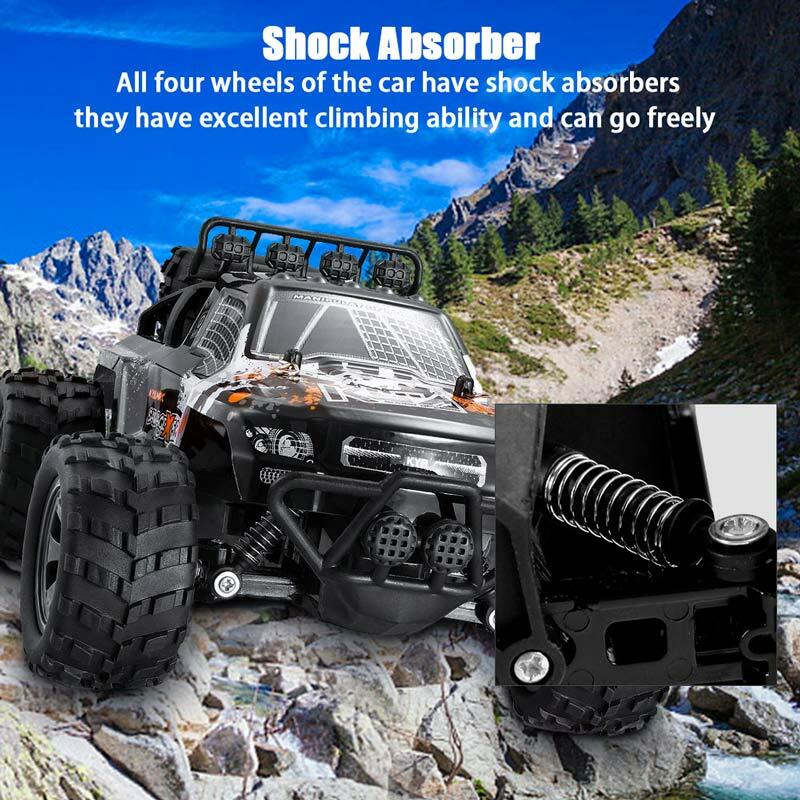 Shock Absorber: All four wheels of the car have shock absorber, they have excellent climbing ability and can go freely. 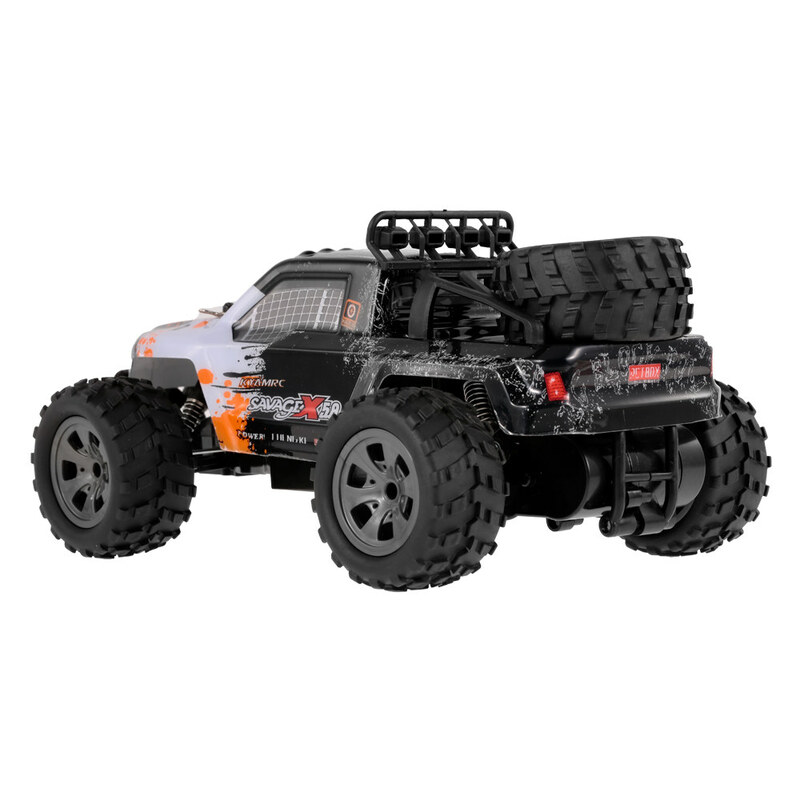 This racing model is not a toy and is not suitable for children under 6 years old.